Lord Warden and Admiral of the Cinque Ports. We are a society of residents of Hythe who share an interest in the well-being of our community, its built environment and its open spaces. Our membership amounts to about 5% of the population (one of the highest listed by Civic Voice), demonstrating that civic pride is very much alive in Hythe. Hon. Treasurer, Hon. Secretary and up to twelve executive members, most with a specific area of responsibility and many with more than one. Committee members are elected at Annual General Meetings held in May. The committee meets every month to review progress on current activities and to manage the affairs of the Society. Committee members give formal reports on their respective areas of responsibility to members annually at the AGM. The committee is very well supported by volunteers from members who, in addition to paying the very necessary and much appreciated subscription, give their time and effort to help with tasks that require more hands such as the distribution of newsletters. Regular helpers number about 100. In addition we can rely on a good turnout of members when called upon for special projects. We have a flourishing and active history group. The Hythe History Group has regular meetings to discuss their research and to arrange activities and excursions. 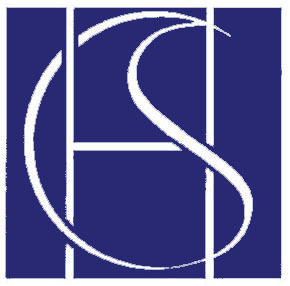 As members of HCS they also make a valuable contribution to HCS Projects and Events. 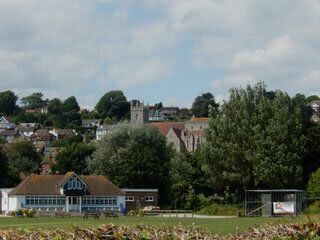 For more details of the Hythe History Group visit their website at http://www.hythehistory.org . Attend Town and District council meetings. Review all planning applications relative to Hythe and comment- see Planning. Work with other local organisations on matters of mutual interest - see Projects. Organise guided town walks during the summer months - see Town Walks. Arrange a series of lectures during the winter months - see Talks. Arrange social events - see Events. Initiate and actively progress projects which improve amenities in the town - see Projects. 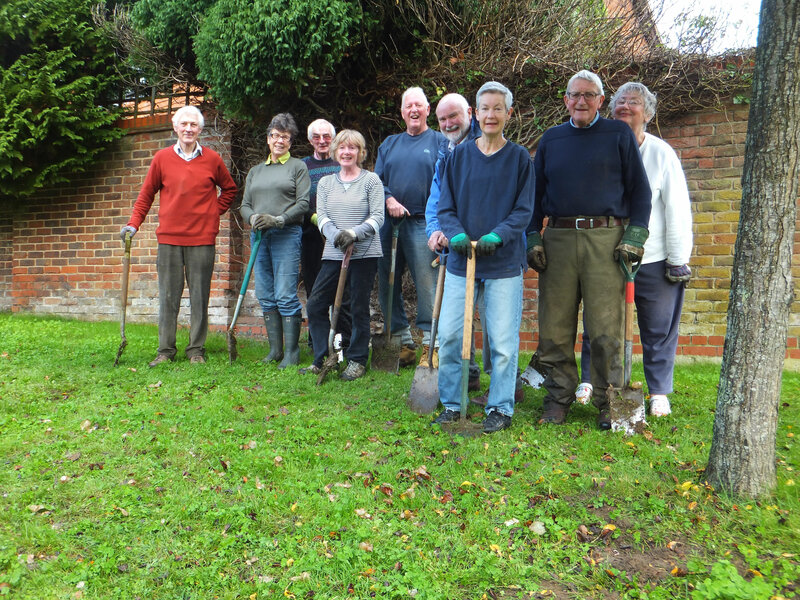 Work with local and district councils on community projects, including tree planting, management of open spaces and floral displays in the summer - see Projects. Issue a bi-monthly newsletter - see Newsletter. Keep records of town events and maintain an extensive archive - see Archives. Research the history of the town and local area and publish results - see Archives. Publish books and leaflets - see Publications. Give awards for buildings of outstanding architectural merit, amenities of significant quality and to individuals for outstanding service to the community - see Awards. 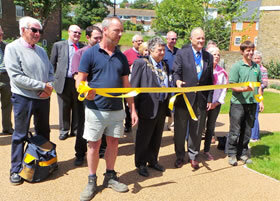 Cooperate and actively support other Hythe organisations with community events. The Society is a member of the CPRE and the National Council for Volunteer Organisations and is affiliated to the Kent History Federation and the Kent Buildings Preservation Trust. At the end of World War II, our town faced a major rebuilding task. Some of the returning population had the foresight to see that reconstruction would set the character of the town for the future. They formed the HYTHE CITIZENS' UNION (HCU) in 1945 with the task of monitoring every development and building project of importance, and ensuring that public spaces, trees, and historical landmarks were, as far as possible, restored to a high standard. In addition to housing and town planning, the founders of the Citizens’ Union organised lectures, exhibitions and local history study, as well as social events to increase membership, and raise funds. From modest beginnings, membership steadily increased until 1957 when for various reasons HCU activities were much reduced and membership declined. However, at about the same time amenity societies were springing up all over the country, coinciding with the establishment of the Civic Trust (now Civic Voice). Stalwarts of the HCU (now registered with the Civic Trust) organised a programme of lectures and films and interest increased. It was at this time that they started the Local History Group. From fewer than twenty in 1960, membership rose to some sixty in 1964, one hundred was reached in 1967 and in 1976 membership was over five hundred. Now (2017) it is nearly 750. 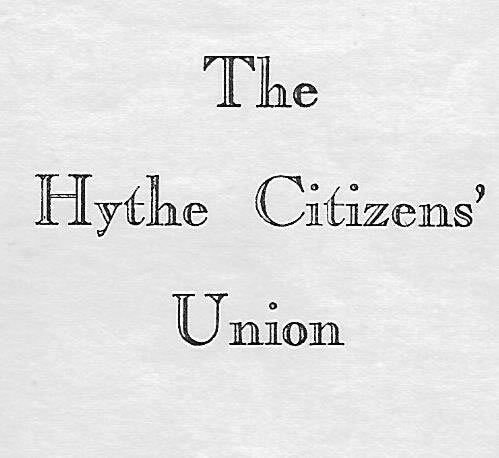 In 1965, the HCU decided to change its name to Hythe Civic Society to bring it more into line with other amenity societies. HCS became more involved in planning matters and their influence became increasingly effective. Following the Local Government Act of 1972, HCS suggested that the proposed new District be named "the Lathe of Shepway" and this suggestion was brought to the notice of the Boundary Commission. "Shepway" was the name adopted in the Local Government Act of 1974. It is interesting to note that, starting in 1960, the Society had elected the Mayor of the Borough of Hythe to be their President during his term of office. However, with the passing of the Local Government Act of 1974, it was thought better for the Society to have an independent President and the practice ceased. The last Mayor of the Borough and HCS President, Cllr. Chris Capon, presented the Society with the Borough Trophy, a handsome shield which later was re-named the Civic Society Award (see Awards). Since then the committee has invited and considered nominations for awards annually. 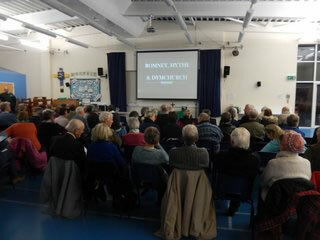 Our Talks have been well attended since their early beginning; so much so that, in 2008 we changed our venue from the United Reformed Church to the well-equipped hall at Hythe Bay School to accommodate audiences sometimes exceeding 100. Guided Town Walks have gone from strength to strength since they were started in 1974 and their fame has spread: in addition to the weekly walks in summer, we are often asked to host groups both local and from further afield. Demand for Summer Outings has been more variable, being very popular in the mid-1900s but much less so in recent years. Our first Newsletter appeared in 1968, a monthly, closely-typed page of foolscap involving much effort, now seeming comical, using museum-piece printing machines to produce. As late as the mid-1900s, the editor wrote the newsletter, now four pages long, by hand and delivered it to a pal to type. If the typed version was too short the editor wrote more words: if too long, they would chop some. With the advent of word processors, double columns were introduced in the December 1996 issue and in the following March the town clock appeared as masthead for the first time. That issue also carried the first pictures - in black and white: colour came later. These days production is achieved entirely electronically. Our first website was launched in 2005 and we can now contact our members with urgent news as soon as it is known. 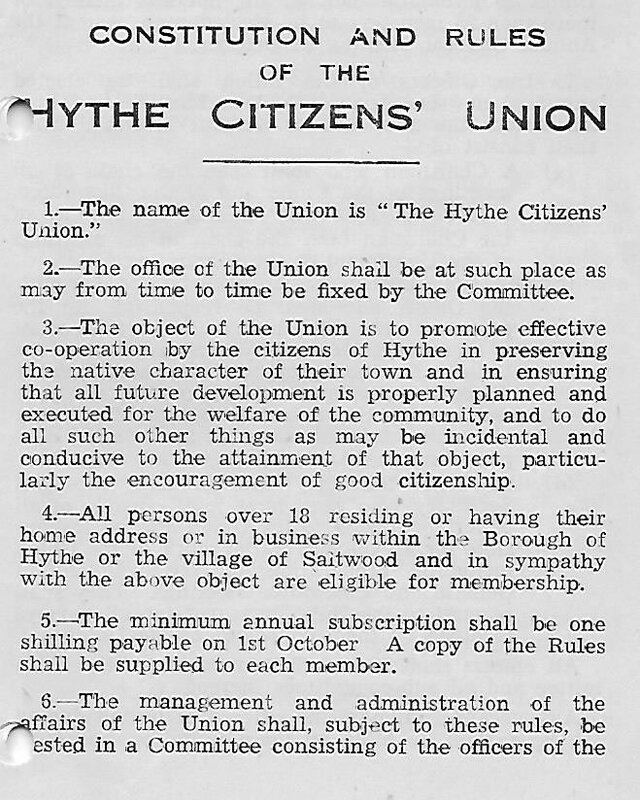 Over the years the population of Hythe has nearly doubled and HCS has been encouraged and enabled to broaden the range of its activities but we are still vigorously pursuing the objectives set out by the Hythe Citizens' Union in 1945.